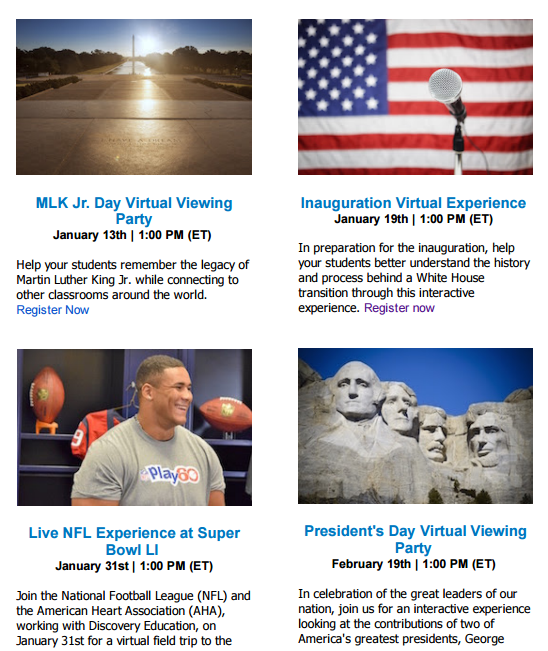 This winter Discovery Education will be hosting a series of virtual events for students. The content of the events range from the Inauguration of a President to the Super Bowl to a Pi Day celebration. The event titles, dates, and classroom registration links are listed below.